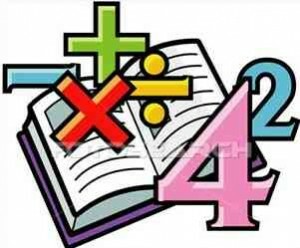 Dyscalculia: Severe difficulty in making arithmetical calculations, as a result of brain disorder. Recently, I had a number of kids who were struggling in basic mathematic functions. Parents will often inquire whether their child has “dyscalculia.” Even though I’ve tested a couple thousand kids at this point in my career I really have no idea whether I’ve evaluated a child who has dyscalculia. Take, young Jackson, age 8, a third grader. Described by his parents as possessing many wonderful (mostly nonverbal abilities), he struggles with the most basic of mathematic functions. Who thinks about the concept that a day is 1/365 of a whole year or 1/7 of a week. What about time or money? How many of our kids of concern understand the concept of a minute, hour or quarter as fractions. We forget that so much of mathematics is language and that if we don’t understand the concept, the calculations are going to be virtually impossible. “Quadrilateral?? ?” “Opposite?? ?” “Parallel??? How ridiculous. Honestly, do you think that a child who can’t understand the concept that a week has seven days is going to begin to understand a word problem involving quadrilaterals? So, does Jackson have “dyscalculia?” Not from where I sit. Jackson has a concept deficit. Talking about “quadrilaterals” when he doesn’t even understand what a half represents, is a complete instructional mismatch. The Jacksons of the world need a lot more patient practice, in portions of the “mathematic pool” where they are remotely comfortable. Next week we will build on this theme.